Max Factor have revamped their iconic Miracle Touch Foundation with their Gold Trimmings on the packaging & they are shining some light on this foundation. 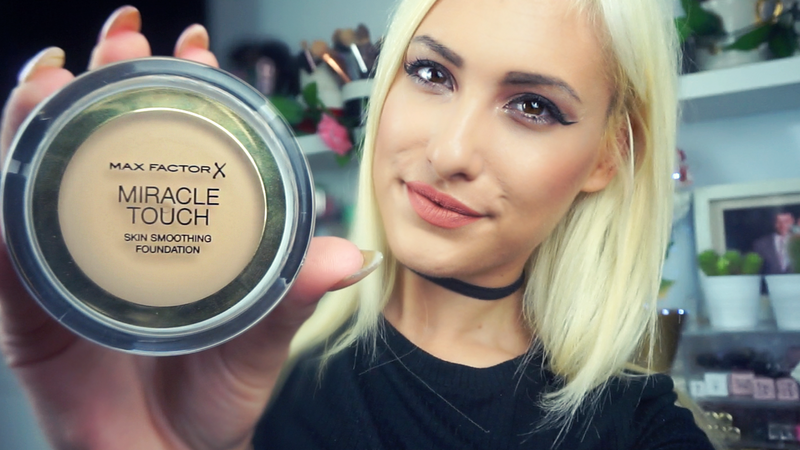 Max Factor have relaunched their Miracle Touch Foundation * with their gold trim packaging but not actually taking anything away from their original formula. They have re-introduced this foundation with their new Primer which is called Max Factor Smooth Mircale Primer * which has become my go-to primer at this point in time. The Lowdown, The Foundation itself is a Solid Cream to Liquid and is heated with contact of sponge or makeup brush and you can also use your finger tips. It smooths and evens out the skin without setting into any fine lines or wrinkles and with that being said it is great for those with uneven skin and blemishes. I personally think it is best used with a sponge in my opinion and has a Medium to Full Coverage - with a Satin Matte Finish. What they say, With a unique lightweight solid to liquid formula it removes the need for the traditional concealer, foundation and powder combination and instead creates the perfect base in just one easy application. The result is a flawless, fresh and incredibly smooth complexion that glows with radiance. Use a compact sponge and apply to the centre of your face, blending outwards. Go over with a foundation brush for a flawless finish. Overall, It's a great foundation, perfect for easy day to day makeup and also for those who are more on the go. The only downfall is no mirror in the compact itself but the sponge has a separate compartment so it doesn't get messy with the foundation. Make sure to watch my YouTube review below to watch the demonstration and more details on the foundation itself.